We are really trying to eat leaner nowadays so I always have lean chicken breast on hand. 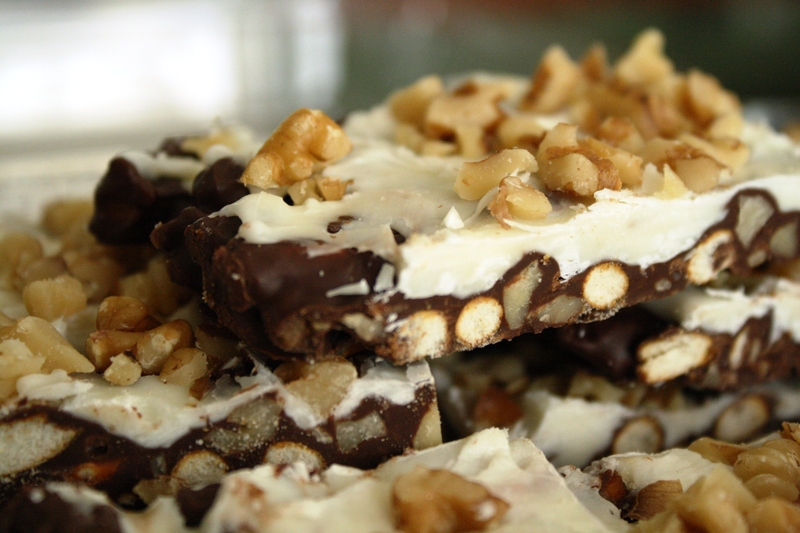 This was a creation that came out of what was in my pantry and fridge. 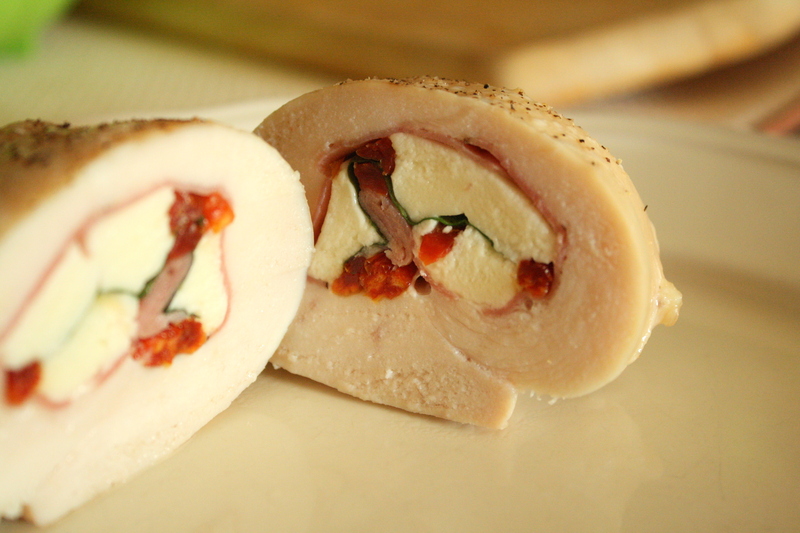 Chicken breast stuffed with mozzarella cheese, sundried tomato, fresh basil and black forest ham. 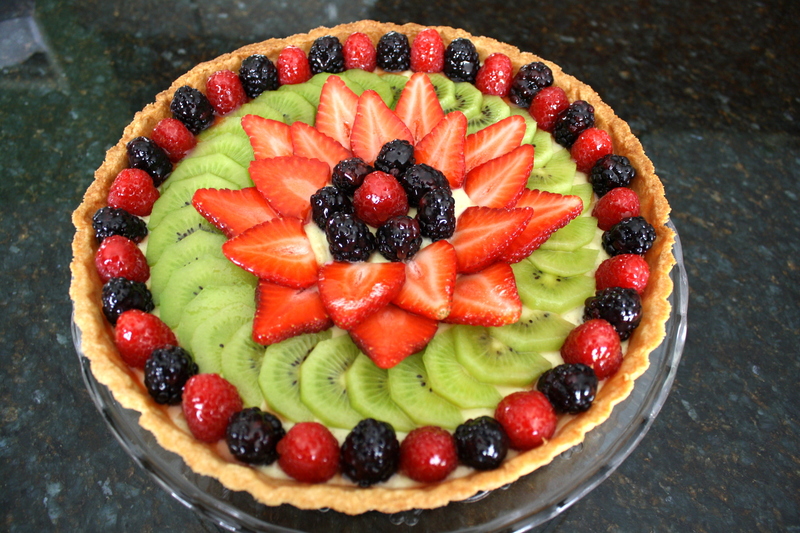 It’s so easy to put together, but makes for a beautiful presentation. There’s something about foods that are stuffed and rolled, then cut that just looks so pretty…..don’t you think? First, I butterflied one chicken breast to make it thinner. Butterfly is just a fancy way of saying I cut the chicken horizontally to thin it out. Lay down one piece of ham, then string cheese, sundried tomato slices, then one leaf of basil. Roll each chicken breast into tight little bundles and tuck the seams on the underside. I served the chicken with some alfredo pasta and a cold salad. This chicken makes for a nice weekday meal, but looks fancy enough to serve to guests. Butterfly (slice horizontally) the chicken breasts to get 6 slices of chicken total. 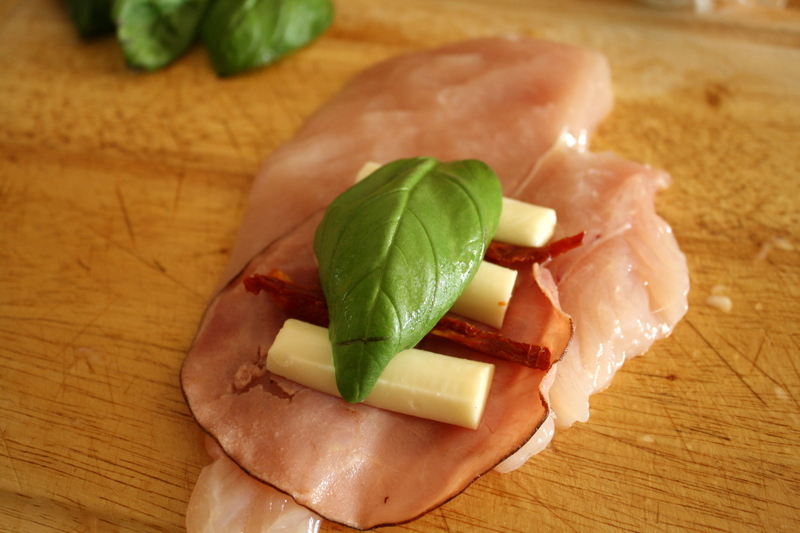 Place one piece of ham, two slices of cheese, some sundried tomato, and one basil leaf onto each chicken breast. 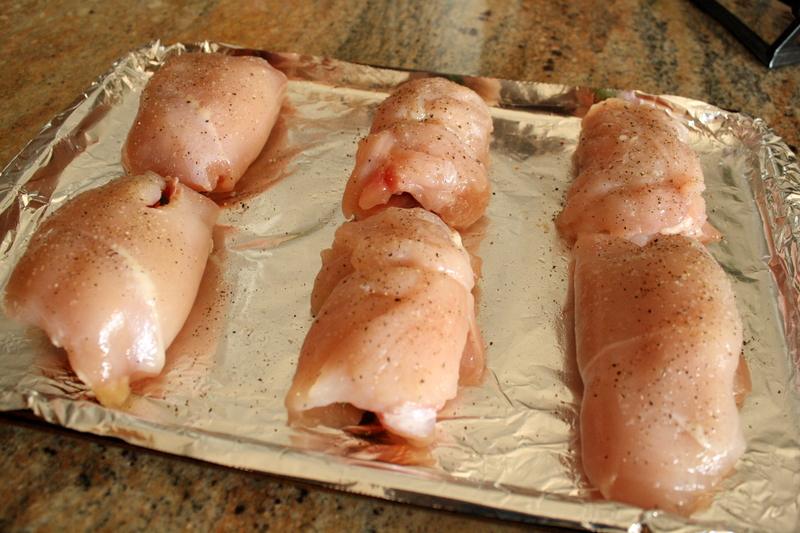 Roll each breast tightly and place, seam-side down on a baking sheet lined with aluminum foil. When all the chicken is rolled, drizzles some olive oil onto the chicken, then sprinkle with some salt and pepper. Bake the chicken at 350 degrees for 30 minutes, or until done. 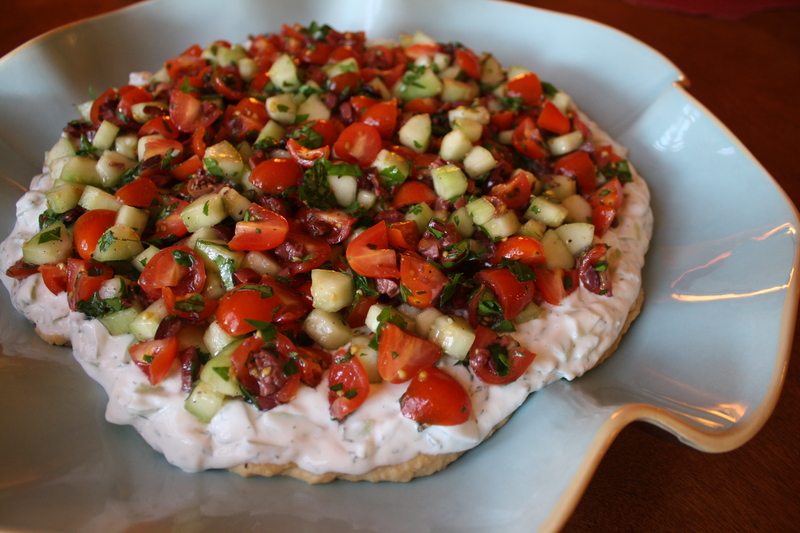 This looks molto gustoso (very tasty)! I am trying to eat better these days, but plain chicken breasts are so boring that I’d just as well skip dinner instead of wasting my time preparing it an dirtying up a bunch of dishes and pans. This Caprese stuffed chicken, on the other hand, looks real good while still being good for you! Thanks Garret! I hope you try it out and let me know how it tastes. I made this last night and it came out wonderfully (and easy for a major amateur)! It’s great not getting pans dirty too. I think next time I make it I will add a starch to make it more filling. Thanks for the great recipe! I’m so glad that you found the chicken recipe easy to make. I hope it was delicious too! Hi, I’m Karen. I’m not a chef, but I play one in my kitchen! Hope you enjoy the show.